This is one of my fall back quick cheap dinner ideas. It is a really flexible recipe and you can add any pesto you like (I mostly use basil but you could use a chilli or capsicum pesto instead). You can make your own pesto (and freeze) or grab one from the shops. 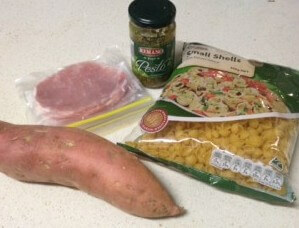 Tonight I used a premade one from Aldi as I didn’t have any in the freezer. The whole meal for 4 people comes in at about $5. Now that really is a quick cheap dinner! 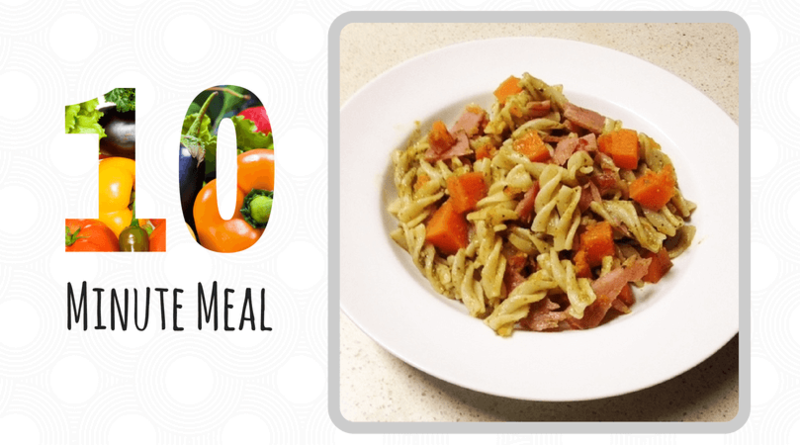 Once pasta is cooked, mix through the pesto, add bacon and pumpkin/sweet potato & serve! You can add pine nuts for a bit of extra flavour.